Since starting care with Dr. Atkinson I have a major decrease in my headaches. I used to have them 2-4 times a week, I have not had one for 6 weeks now thanks to Dr. Atkinson. I also used to have lower back pain that prevented me from sleeping. It woke me several times every night for years. Now I sleep through the night with very little pain and I have been getting adjusted for two months! I came to Dr Justin with severe back pain. It was a rib out of place and Dr. Justin adjusted it and decreased the pain in just one adjustment! I could breathe better and sleep great. We are now working on my headaches and neck pain that have been an issue for years. My headaches are less frequent and do not stop me from working anymore! All I can say is do not suffer any longer, come in! I wish I would have years ago! I came to Dr. Justin complaining of low back pain and neck pain. He listened to my concerns and addressed every single one of them. Dr. Justin is very attentive, caring and knowledgeable. Thank you for all of your time and care. Ever since I was a teen my low back has been an issue for me. As it was progressing I knew I had to get something done since it was affecting my work and family. One day my back went out and I could hardly walk or get dressed. I was referred to Dr. Justin and called immediately. Dr. Justin got me in that day and my back has never been the same! (In a good way) Since getting adjusted I can actually do things without the pain I was used to. If you want an amazing change and to feel great again, then you must come here. When I first started coming to Dr. Justin I had all sorts of pain at bedtime. Since my treatment with Dr. Justin my overall mobility has improved and I sleep with no pain. After working with horses for several years, I have been subject to various bumps, jolts and falls. Most recently I had a run in with a 1400 pound draft horse. He hit me from behind knocking me to uneven ground. Since then I had painful low back pain on the right side. Since starting care with Dr Justin the pain has decreased. I also have realized I had pain elsewhere that he is correcting as well. I started seeing Dr. Justin because I was having middle and lower back pain as well as a stiff, painful neck. Since I have been coming in the pain is a lot less and less frequent. I am now able to do daily tasks much easier. I have had nagging neck pain since high school. I started coming to Dr. Justin after having my first son because of severe hip pain. In my exam Dr. Justin found a lot of issues including inflammation in my neck that I have just been living with. My hip, back and neck pain have improved so much. I almost never complain about my back pain anymore. I am not sick with colds as often and when I do get sick, it is over in 2-3 days instead of over a week like it used to be. 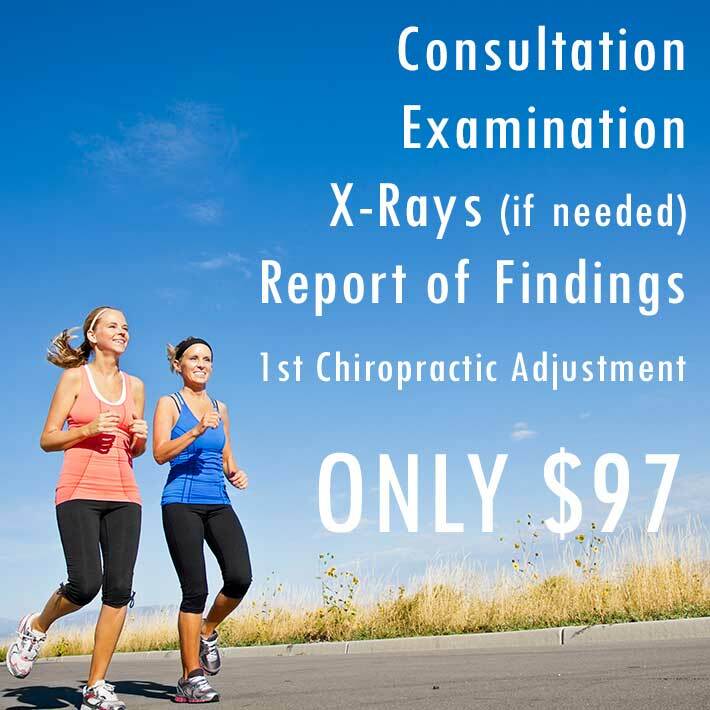 Chiropractic is worth the investment to improve your health and feel better! My shoulder is better, my cholesterol is lower and blood pressure is lower. As a member of crossfit I am frequently lifting heavy objects and straining my back muscles. At one class I was flipping a tire and hurt my lower back. I could not walk, sit or sleep comfortably. Days later I found Dr. Justin and had my first adjustment. Immediately I felt less pain and within two weeks felt virtually no pain. I feel great and have more range of motion in my neck and back. I also have more intense workouts with less to no pain. Before coming to Dr. Justin my migraines were sever to the point I would get one a week. After a few adjustments I can say they were less and less. I can now say that I rarely get one and I have Dr Justin to thank for that! The problems and symptoms with my carpal tunnel syndrome have gotten much better and occur much less. I have been on medical treatment and medication for high blood pressure for many years. Starting chiropractic care with Dr. Justin almost immediately my blood pressure dropped to a much lower range. These lower results are now my normal range thanks to Dr Justin! Now I am off of my medication. I started coming to Dr Justin due to migraines. I was having about 3 a month. within a couple of months my headaches were few and far between. I have had 3 or 4 in the last year and a half! I cannot thank Dr. Justin enough! I came to Dr. Justin with neck pain and low back pain. My neck has never felt better nad low back pain has gone away. Chiropractic care really works. Don't wait, start today! You will feel better sooner than later! I came to Dr. Justin with neck pain, low back, pelvic and weight issues. My neck issue was affecting my thyroid. I am losing weight since I feel better and can exercise pain free. I came to Dr. Justin with low back pain so bad that I used a cane to walk. Now I am pain free most days and never use a cane. Amazing results since I was going to have surgery on my back, but Dr. Justin solved the problem! I would highly recommend coming to Dr. Justin. I visited Dr. Justin for bad neck pain, lower lumbar pain and very overweight. My neck and low back feel great from Dr. Justin adjusting me. I have been going to chiropractors for over 2 decades and he has gotten the BEST results. I have lost 40 pounds since starting with him as well since I feel good and can exercise without pain. This is one of the best and most polite clinics I have been to. The Doc will go the extra mile and treats you like one of the family. I will be returning my business and spreading the word!!!!!!! Great service, great people! I have been going here for a couple months now. Dr. Atkinson pinpointed my issue on day 1. These guys are awesome!! They had a office up in Illinois and they made back and knees not hurt anymore.